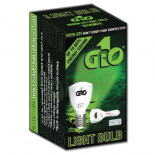 The 41 or 21 watt Bloom iSunlight® T5 HO replacement LED lamps are an excellent choice for the complete cycle of your plants life. The iSunlight® T5 Bloom lamp is an intelligent LED that is specifically designed to work with your existing T5 HO fluorescent fixture. These T5 LED retrofit lamps make an excellent replacement for all 3,000° K T5 fluorescent lamps. The iSunlight® Bloom features a combination of 450 nm blue, 660 nm red and 5,500°K full spectrum white diodes while consuming only 21 watts of power for the 2 foot lamp and 41 watts of power for the 4 foot lamp. 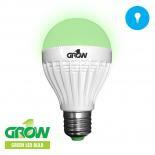 Environmentally friendly, mercury free LED lamps.